Thanks so much to Meryl for suggesting we swap blogs for the day! You can find me at My Bit of Earth. As the days begin to get shorter, I feel like I should buy stock in candles. When we're losing 10 minutes of daylight a week I burn through them, but they feel absolutely necessary as we slide past the equinox into the dark half of the year. With rosy candles glowing through photos of summer memories, these votives are not only seasonal for the first of fall, they're quick to put together, too. While there are many more elegant techniques for transferring images to glass, this one does the job and requires very few supplies. The key is to use thin copy paper. Also, be sure to use flat sided jars. I love Ball jars for everything else, but the raised writing on the side makes them unsuitable for this project. Save a few spaghetti sauce jars and recycle those instead. 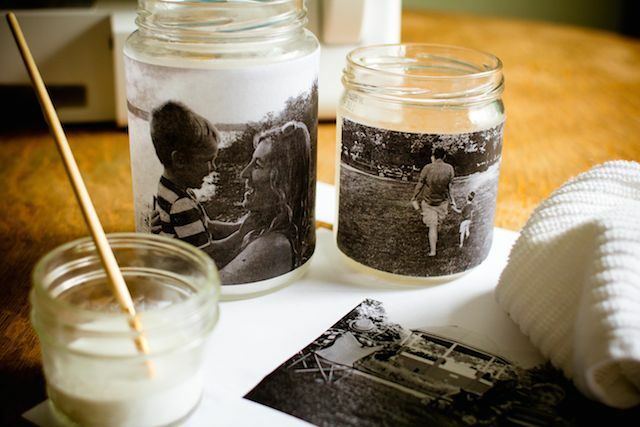 Cut one of the photos to fit the side of a jar. 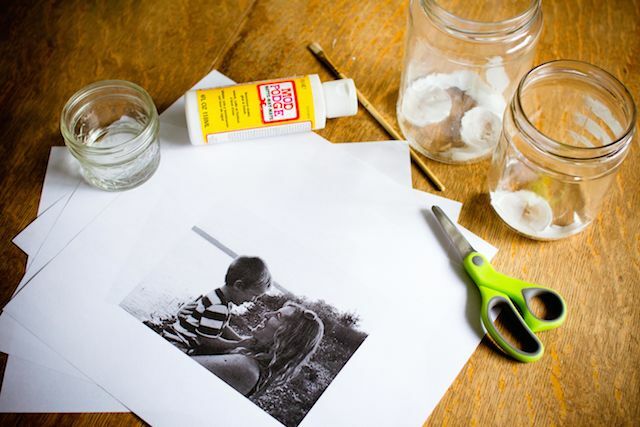 Using the watered down glue wet the back of the photo until it's very saturated, then slide it onto the jar. Carefully coat the top of the photo with glue as well. At this point the glue will be dripping and running all over the jar. While you can dampen the towel and use it to neaten things up, I prefer to work with the mess instead. I leave the towel dry and use it to rub the glue all over the jar, which gives it a weathered look like it's been sitting in a barn for a decade. 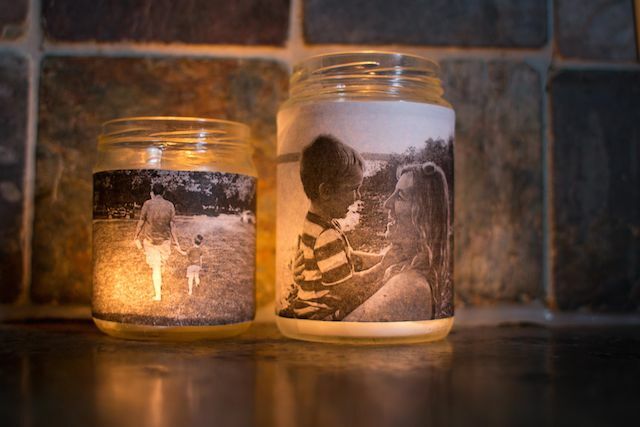 Repeat with the rest of your photos and jars, allow them to dry, then enjoy the glow as the seasons turn.